Check out photos from last year’s workshop! Greater than 70 percent of our flying information comes through the eye and the eye is easily in darkness. This is compounded by the inexperienced pilot alternating views between a tabled/lighted display and the position of the UAV in the sky. Night flying has a higher accident rate than identical day flying, both in UAV and manned aviation. Why? Depth perception is severely distorted, as is reaction time. There are also visual illusions that need to be recognized and mitigated. 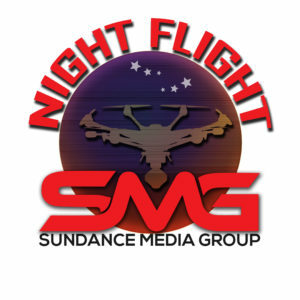 This session will provide information that will allow pilots to sidestep these challenges, while properly assessing and managing the risks associated with night flight (as waived per Part 107.29). You’ll also learn the foundation of applying for a COW/COA for night flight from an experienced night-flight pilot. After a comprehensive theory session, we will board the bus and go to the night flight location for some practical experience. We’ll present different types of visual illusions that commonly occur at night. 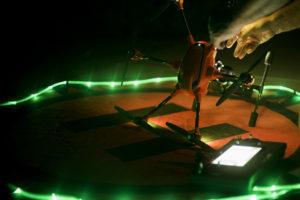 In this practical hands-on class, we will discuss visual illusions as well as best practices for night flying. We will cover Autokinesis and Night Landing Illusions and how to avoid them. We will also discuss acclimating your eye for night flight. We will also cover the use of lights to illuminate our subjects and how to avoid “light contamination” in our eyes. This class includes a certificate of night flight training, which can be used to expedite your FAA waiver.